One of the cool things I love about QGIS is finding stuff that you didn’t know it could do, well not just itself but plugins that you didn’t know about. Today my discovery was in how to generate contour lines from a point layer. 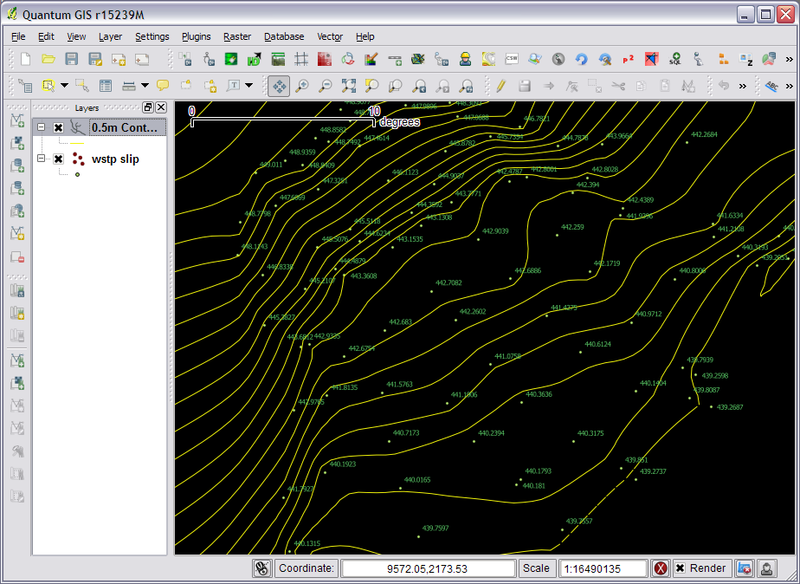 Once installed open a vector point layer in QGIS. Make sure the point layer has a field that you can use for elevation. The resulting contours will have a field that contains the label and z value for each contour line, you can then just label or color them how you wish. 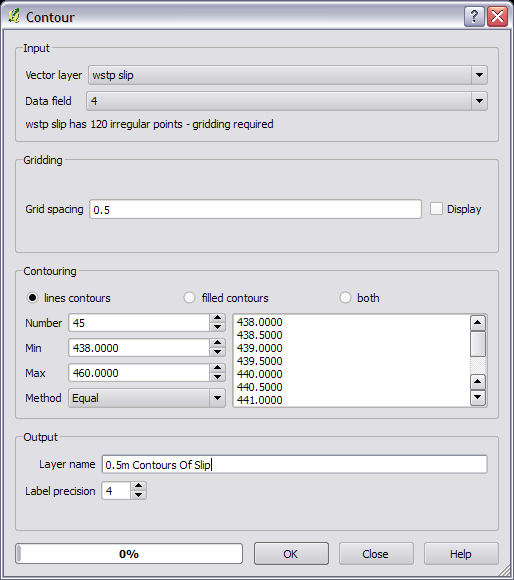 Note: There is a bug with QGIS memory layers where the fields don’t show up in dropdown or attribute browsers, a simple fix is just to make the layer editable and then non editable then the fields will be there. The contour layer is a QGIS memory layer so remember to save it to disk eg a shapefile before you close you will loose your new fancy contour layer. 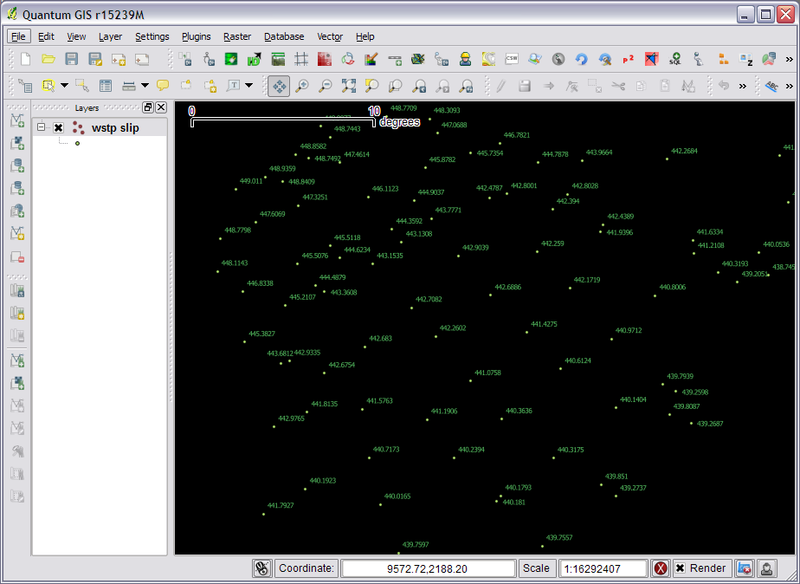 however QGIS doesn’t have the ability (yet..) to run SQL queries like this, but you can do it via python. Just copy and past that into your QGIS python console and call getLength() when ever you need the total length. Note: I have found the QgsGeometry .legnth() function to be unstable in the past and it has crashed my QGIS instance. Just test it first, if not you can always use the shapely method.